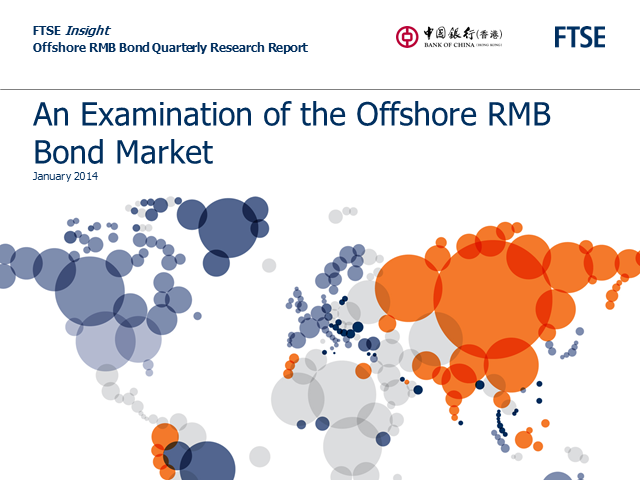 Since the first dim sum bond was issued in 2007, the breadth of the offshore RMB bond market has continued to grow. In 2013, FTSE partnered with Bank of China (Hong Kong) to launch the FTSE-BOCHK Offshore RMB Bond Index Series as an industry standard series of benchmarks to support market participants in making their investment decisions in this unique asset class. As a part of ongoing efforts to provide insights to market participants, FTSE and Bank of China (Hong Kong) are proud to launch a new quarterly research update examining the performance of the market, trends in issuance, along with implications of currency and regulatory reform. Join us for a live Webinar designed to provide a readiness update for market participants on the Single Security Initiative, which will be implemented on June 3, 2019, and represents one of the largest changes in the history of the US agency securitized market. With slowing global growth and geopolitical uncertainty, investors may look for ways to manage for potential downside risk through a connection to quality. Companies with steady dividend growth have historically been joined by stable earnings streams, good corporate stewardship and resilient business models – all signs of quality. Join FTSE Russell and ProShares subject matter experts as they discuss macroeconomics and the considerations and benefits of dividend growth approaches. •China A Shares - why now? Alec Young, Managing Director of FTSE Russell Global Markets Research, will present a US and international macro economic and asset allocation update. He will update you on the global economic and inflation outlook, financial conditions, equity and credit fundamentals as well as asset valuations and investor sentiment. Lastly he will discuss FTSE Russell asset allocation insights. Join us for an in-depth examination of how ‘The Yield Book’s’ comprehensive fixed income analytics capabilities can help asset owners fully understand the complete dynamics of their current portfolio and allow them to make more informed decisions about the future direction of their fixed income holdings. Christopher Jenkins, Director at FTSE Russell will demonstrate how The Yield Book can help asset owners with pre-trade analysis, risk, and performance attribution for their Fixed Income portfolios, via the analytics platform. In addition, Chris will show how ‘scenario analysis’ can be used to introduce different environment variables to ‘stress test’ a single security or portfolio. For over twenty-five years, The Yield Book has built a track record of client engagement with a wide range of the largest and most sophisticated financial institutions including 92% of the largest 50 US Fixed Income Money Managers. Investment management firms, banks, central banks, insurance companies, pension funds, and hedge funds. FTSE Russell’s flagship global equity indexes, the FTSE Global Equity Index Series (FTSE GEIS) will be rebalanced as of the March 18, 2019 semi-annual index review. Through this rules-based process, the index’s eight regional components will be adjusted to reflect changes that have occurred since the last rebalance across 49 developed and emerging equity markets globally. Join FTSE Russell on March 19th for a discussion that will explore the global equity market landscape via a summary of trends observed and changes captured during the latest global equity index review. Increased market volatility is rarely a welcomed phenomenon; but how might investors approach a market characterised by it? Join Alex Chen Associate Director and Yang Wang Director Research & Analytics as they explore, with reference to their recently published paper, ‘Accessing the China A-Shares Market via Minimum-Variance Investing, in the Journal of Portfolio Management, how best to participate in the China A Shares market when looking to limit overall portfolio risk. "How can I efficiently capture and maintain exposure to factors" is a common question heard by index providers and ETF issuers alike. Of equal importance, though, is how the index methodology works to maintain exposure to chosen factors over time. FTSE Russell is delighted to announce the launch of a new custom UK equity index, based on its ESG Ratings: The FTSE UK 100 ESG Select Index, resulting from a close collaboration with HSBC Bank’s Client Solutions Group. The FTSE UK 100 ESG Select Index is designed to measure the performance of the top 100 ESG-rated companies within the FTSE All-Share Index, as demonstrated by their Environmental, Social and Governance practices. The constituents are weighted on their investable market capitalization. The index rebalances quarterly, in line with the FTSE UK Index Series. This transparent methodology achieves index exposure to the UK equity market whilst considering the companies’ ESG Ratings. FTSE Russell and HSBC are delighted to invite you to join this webinar where you will gain insights into UK equity macro trends, FTSE Russell ESG Ratings, and investing in ESG via structured products. Join FTSE Russell and IndexIQ, a New York Life Investments company, for an overview on international equities and a discussion on managing currency volatility through passive currency hedging approaches. •Where next for the economic ,earnings and valuation cycle and an assessment of the impact of tightening financial conditions. •The extent to which factor behaviour is influenced by different economic regimes. Factors and factor investing continues to be the most popular index-based method of improving portfolio risk adjusted returns. But how should clients assess the impact of single and multi-factors indexes on their portfolios? How are return-profiles impacted by factor inclusion and other common smart beta strategies? Should clients routinely consider their overall underlying factor allocation? And how should factor allocation be assessed? Join Marlies van Boven, managing director Research & Analytics and Vera Cady, senior research analyst, FTSE Russell as they demonstrate how the impact of factors can be assessed in real-time via Analytics Plus, FTSE Russell’s propitiatory smart beta and factor assessment tool. The Asia Investor Group on Climate Change (AIGCC) and FTSE Russell are pleased to host a webinar to discuss the findings from the report ‘Building on the base: TCFD Disclosure in Asia’, the first comprehensive guide developed by investors to look at climate change reporting by publically listed companies in Asia against the Taskforce on Climate-related Financial Disclosure (TCFD). AIGCC worked with EY and FTSE Russell to look at current levels of reporting by Asian companies in key industry sectors and across major markets in the region. It draws upon previously unpublished data analysis of corporate reporting on climate change and is the first report to benchmark performance against the TCFD for the region. How have factor strategies responded to market signals? Join FTSE Russell and OppenheimerFunds for a discussion on how economic and market sentiment can be used with factors to create a passive strategy that works with the market cycle. Richard Radnay - Director, Information Services, XTF.com & Neel Gandhi - Product Manager, Mergent Inc. Learn about the importance of ETFs for business markets and academic research and how to access data and insights on this critical asset type. In this paper, we test the hypothesis that well-diversified portfolios with identical factor exposures should have similar performance characteristics, despite originating from potentially very different construction methodologies. Real estate is the primary diversifier for traditional equity/fixed income blends in European institutional investor portfolios. But what are the average allocations and splits between listed and unlisted real estate? FTSE Russell has been selected by the European Public Real Estate Association (EPRA), as launch partner of their latest research report. Based on CEM Benchmarking’s database, the report provides unique insight into the historical record on real estate investment allocations, returns and risk for large European institutional investors. How to efficiently capture and maintain exposure to factors is a common question heard by index providers and ETF issuers alike. Of equal importance is how the index methodology works to maintain exposure to chosen factors over time.